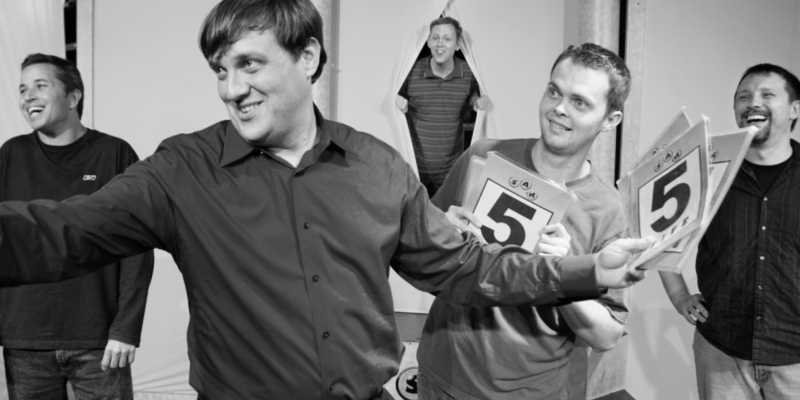 Hire SAK Comedy Lab players to bring the funny to your event! Hire talented SAK players to provide personalized, interactive entertainment at your event! We at SAK love to add laughter and joy to any company party, convention, or corporate event. Whether we are performing our classic improv show or creating fully customized content, we can find the show product that works for you and your budget! Get your team out of the office every now and then and come see a show. It's fun, interactive, and we can even customize it to your business. Watch as your co-workers engage with our players and become the stars of the show. 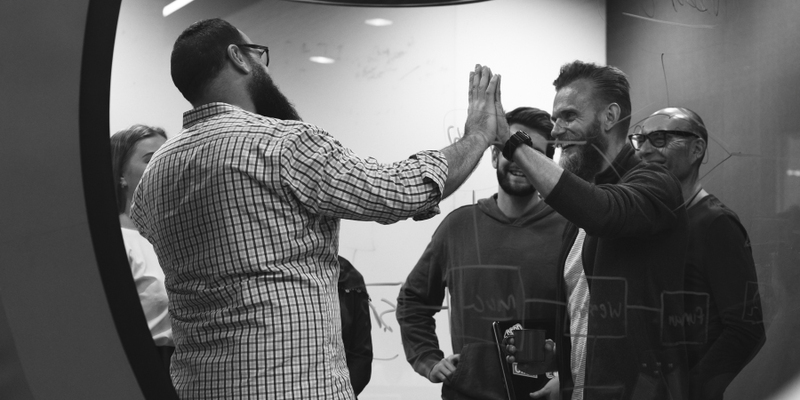 Our training builds stronger, more productive teams by enhancing communication and aiding team members to toss away inhibitions and self-reflective judgments. SAK has over 30 years experience teaching these skills to more than 12,000 people of all ages, sizes and walks of life. SAK fundamentally understands teamwork. It’s what we do... and we can teach YOU! 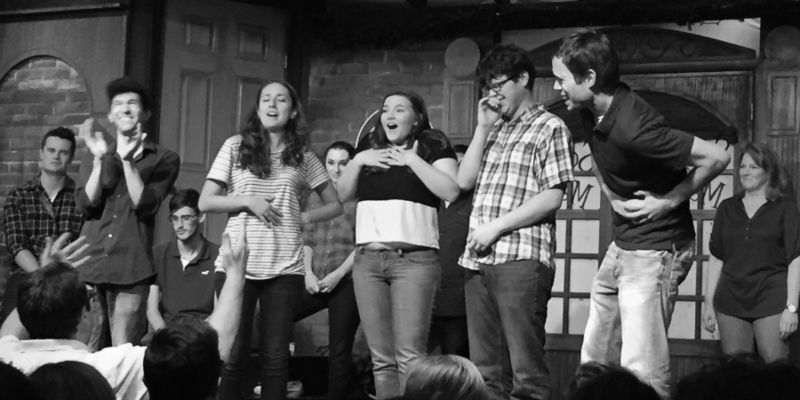 Since 1991, SAK has been an Orlando destination for students, charities and faith based groups, in part due to our commitment to “smart comedy” without obscenities or use of shock humor. 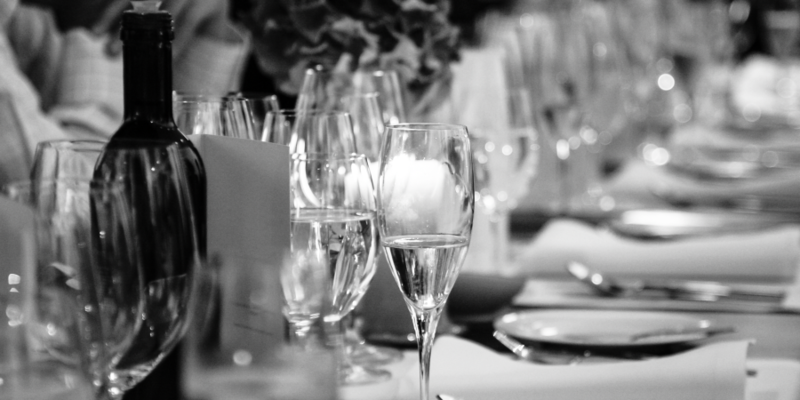 Let us turn an ordinary event, dinner or assembly into an extraordinary one. We’ve been doing this for a long time, and we know how to make your group laugh! With different scenes, customized to your audience! One person is a criminal, and the others have to try to get them to confess to their crime... but even they don't know what they did. Our players are improvising, but it's up to your volunteer participants to move them across the stage. The more animated, the better. We've all heard that one song before, but never like this. Laugh on as SAK players take a creative spin on your favorite musical classics.